As a former vice president of operations for a major multi-national company and now a consultant specializing in leadership, recruitment and team-building, I am always surprised when I come across employers who are willing to accept higher turnover rates as “inevitable”; “acceptable”; or “the norm”. Many executive and management groups seem not to understand that turnover is one of the single best metrics available to them to better understand the relative success or failure of any company or department. High turnover rates are only normal in companies that do not understand the value of human capital and who generally feel that people are easily replaced. Much has been written about the financial cost of employee turnover but it is sufficient to say that each time an employer loses a staff member, the bottom line of the company decreases noticeably. Despite the inevitable loss of profit that employers experience when employees leave, many still bumble along losing staff day after day; month after month; year after year while paying other people to hire, fire and process new and departing human capital. Let’s use 15 percent as an acceptable turnover rate. That number is high for many employers and very low for others but it might be considered an average for businesses that show mediocre profitability. If the operational and financial management areas of the company are highly efficient, profit may still be possible even if 15 people out of 100 employees leave the firm every year. When turnover moves above 15 percent the chances for an acceptable profit margin decreases. Companies that have 20, 30 or even 40 percent turnover are in a constant battle to maintain profitability and spend so much time and money on recruitment, hiring and training that acceptable profitability is often only a dream. In order to avoid high turnover rates, employers must determine “why” employees choose to leave them. We must accept that an acceptable level of income is a factor in employee satisfaction. It is fairly easy to know how much a particular position is worth in the overall market place in which your business competes. Always be fair, never pay too much and never niggle over a few inconsequential dollars. In other words, “be fair, but never be taken advantage of”. Once appropriate pay is agreed upon, you must deal with the real issues of employee engagement that make the difference between high and low turnover rates. The main challenge to acceptable turnover rates is management, or more specifically, “managers”. Whenever I find low morale and lagging employee engagement in any of the companies I work with, I am able to trace it back to a specific manager or a group of managers. Senior management or “upper management” of multi-department or multi-location companies often fall into the trap of setting up accounting and reporting systems that manage the financial side of the business so that they can determine if a manager is following corporate procedures, but seldom do they even attempt to measure the effectiveness of the “people-management” or “leadership” skills of their managers. Turnover is based on “engagement”. You must know if your employees are loyal and interested in their jobs. Your staff members must be happy and engaged. Your staff members must “like” their jobs and ideally even “love” their jobs. I have heard all of the excuses for poor employee morale. When challenged on high turnover rates, poor managers will generally say things like, “I can’t get good people”; “Young people these days just don’t care”; “We don’t pay enough”; “We have some trouble-makers here and I can’t get rid of them.” Poor mangers will never admit that they really have no idea why they have high turnover or that it is their own attitude that is driving people away. Corporate directives and people-driven mission and vision statements are nice but they only work at the board-room level unless they are driven down to the rank and file by working managers. We know from many studies that the main reason people quit their jobs is because of their relationship with their immediate manager. This fact is now irrefutable and it must be dealt with “head-on” in order to improve overall profitability. Your managers must evolve and understand that nobody has to work for them if they don’t want to. They must accept that employees have options elsewhere but that they will stay with a good manager despite lower pay, a less-than-lofty title, tougher working conditions, longer hours or a plethora of other carrots that competing employers might dangle in front of them. So what makes a good manager and how can you change them? Senior management must make personal development and leadership skills a top priority for managers at all levels of the company. They must give their managers the skills, to not only manage the business, but manage, or more correctly, “lead” their people. This can be accomplished firstly by making employee engagement a measurable, key performance indicator and then providing training that directly tackles the challenge of leading a diverse group of people. Leadership training cannot be short-term or “hit-and-miss”. It must instead, be deliberate, consistent and ongoing. The challenge with leadership training often, is that employers and senior management will complain that they are “too busy” to attend sessions. Managers and executives will routinely avoid leadership training because they have to finish up a budget, meet with a client, go to an important meeting or join a conference call. While they are avoiding the leadership training sessions, they are setting a poor example, learning nothing about employee engagement and directly harming the bottom line of their company. I have seen it time and again. The only companies that improve due to leadership training have a CEO, an executive group, and a management team that is dedicated to the process and a will to buy-in for the long term. While the ongoing training is happening, the entire employee force must know about it. They must be made aware that their management team wants to do better and that the time they spend at leadership training sessions is for the sole purpose of doing better for the workforce. That communication will have a twofold effect. Firstly, it will show employees that something is being done to improve morale and secondly, it will give them the opportunity to measure the effects of the training and discuss it amongst themselves. When handled well, leadership training will make the difference between an employer-of- choice and an employer-of-last-resort. Secondly, managers must get in front of their employees. They must get up from their desks and interact in a real human way with every direct report they have, on a daily bases. Communicate, communicate and communicate some more! That concept too, will often be met with the protestation from managers that they are “too busy”. They must be made to understand they can never be too busy to make time for their most precious resource…their employees. As an aside to communication, managers must trust their employees to be able to do their jobs and allow them to err or even fail from time to time. Micromanagement is one of the biggest killers of employee engagement. Leading is not about “telling, checking, and criticizing”…it is about, “teaching, supporting, and encouraging”. Any good a manager might do can easily be destroyed by his or her own micromanagement or by the interference of a head office or an outside department. Employees do not expect their managers to be perfect…they only expect them to be human. They want them to be compassionate, caring and understanding. Workers want to know that they matter and that their manager is willing to go to bat for them. Employees will give their personal best for a good manager but conversely will do everything they can to do as little as possible for a poor one. People are not computers, stock, spare parts or tools. They are flesh and blood, deep-thinking, emotional beings that react positively to positive stimulants and negatively to negative forces. If you want better bottom-line numbers for your company, check your turnover rates and target the departments or branches that have the worst numbers first. Study the departments that have lower turnover rates and find out what makes them different. Use what you learn to build a leadership training program that will take your company to the next level. Turnover is a killer…Leadership can be the saviour! 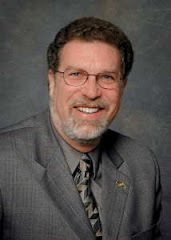 Wayne Kehl is the President and Chief Communications Officer of Dynamic Leadership Inc.
Attitudes are the very essence of an individual’s relative success or failure on a human relationship basis. In most cases, someone with a bad attitude will struggle much harder for success at almost every level than someone with a good attitude. That being the case, we must understand what an attitude is, how it manifests itself and how others may perceive it. One dictionary definition of an attitude is this: “A complex mental state involving beliefs, feelings, values and dispositions to act in certain ways.” Or put another way, an attitude is the way we exhibit our feelings and concerns about something we strongly believe in. The issue is not so much the fact that we have strong feelings about certain things. The problem is that when we feel challenged, we might react in a way that is repugnant to others, causing them to react negatively to us. Most of us have a bad attitude from time to time. However, when we maintain an attitude that others find socially or emotionally unacceptable, our attitude becomes our personal brand. At that point, we become THAT person...” the one with the perennially bad attitude”. When individuals begin to say things about us such as, “I don’t like his attitude” or “she is a good worker but she has a bad attitude,” the time has come for us to consider whether our attitude is working for us or if, perhaps we should consider changing it. Many of us hang on to bad attitudes as a defense mechanism. Just as some people are known for a loud laugh or a quick temper, others are known for a bad attitude. Just as those people who laugh too loud when they find something funny or get angry immediately that they feel threatened, others exhibit a distant, dark, unfriendly or aloof attitude when a certain stimulus invades their mind. When those unapproachable, standoffish or superior people are faced with a situation that makes them uncomfortable they immediately adopt their well-nurtured attitude in order to avoid the situation or to repel those who might make them even more uncomfortable. Most people with bad attitudes are not truly bad human beings. They are simply people who have trouble reacting in a universally palatable manner in some situations. When faced with an uncomfortable situation, the area of the brain that controls the neural pathways that form external responses in these people sets up an irresistible need to exhibit an outward presentation that will protect them from harm. So deeply are these responses ingrained in the minds of these people that without even thinking, they will almost automatically exhibit a bad attitude whenever they sense or expect discomfort. They have little or no control at that point and the only way that they will ever be able to overcome their bad attitude response is through deliberate and consistent self-awareness and self-actualization. They will need to retrain their brains to allow a better response; (a good attitude). The bad attitude response might be a result of past situations that the person found negative and emotionally hurtful. They might often find themselves thinking negative self-talk. Some of that self-talk might include thoughts such as, “I am not good enough; I can’t do this; they don’t like me, they don’t respect me; I don’t want to be here,” or any number of other things that people feel when put into situations where they might lack confidence. When the bad attitude has been part of their behaviour make-up for a very long time, they will no longer need to experience the negative self talk in order to respond negatively. The situation alone will be adequate to set off the negative behaviour response. Negative attitudes can also be triggered by fear, hatred, envy, jealousy, distrust and a myriad of other stimuli. Those attitudes however, are usually confined to a specific source of discomfort and only rear their heads when an individual encounters something that they immediately find truly distasteful, frightening or unacceptable. Many people often exhibit a very good attitude most of the time and only show a bad attitude when confronted with an unusually unnerving situation. Those people who have a generally bad attitude and want to do something about it must firstly accept that their attitude is impacting those around them and that it is harming their personal growth and development in one way or another. Many people spend a good deal of time thinking and saying things like, “I don’t need anyone else; You don’t have to like me to work with me; As long as I do my job my attitude shouldn’t matter,” and various other ideas that justify their negative attitudes. Before any improvement can begin, those people must accept that a huge part of every good work or personal relationship is a compatible, flexible and generally acceptable attitude. When a person has finally come to the conclusion that they need to change their attitude, they must accept that it might take hard work and that it will not happen overnight. They should consult with those around them in order to find out what it is about them that others do not like. They should ask co-workers, bosses, friends and family members how they truly are perceived and then listen to the responses without interruption. They need to keep an open mind and allow their ego’s to take a back seat as they hear some potentially very hurtful information about themselves. Only people who genuinely want to change will make it past this step. If they make it past the ego-damaging last step, they must make a commitment to themselves to do something else. Essentially, when they feel their brain telling them to react in a negative fashion, they need to do the opposite. Instead of frowning, they need to smile. Instead of whining they need to cheer. Instead of being aloof they need to show engagement. These changes in presentation and thought seldom happen immediately, but when a person makes a decision to improve and works hard at it, success and happiness usually follow shortly thereafter. Many studies now indicate that workplace bullying is a very real, all-too-common and incredibly harmful practice in workplaces world-wide. Interestingly, most of their targets are not the new, less confident or weak employees. Instead, bosses with “Type A” (forceful, aggressive, outgoing) personalities tend to focus their bullying on highly competent, experienced, cooperative and well-liked employees. Bullies tend to see those natural leaders as threats to both their ego and status in the organization. When bullying bosses come across employees that stand their ground and refuse to be intimidated or controlled, their bullying efforts often intensify. Bullying bosses need to win and they need to control everything in their purview, to the point of actually doing harm to their own organizations in order to establish their superiority. People who are bullied suffer everything from stress symptoms to depression and from increased sick-leave to serious, life-threatening illness. Those symptoms can lead to reduced performance and career-damaging indolence. Bullying takes many forms but often it includes public put-downs, temper tantrums, unreasonable work demands, insults, taking credit for another’s work, threats of job-loss and discounting of accomplishments. Often, it will also include withholding of necessary information, exclusion from important meetings and general intimidation. Each of these behaviours is bad enough on its own, but when done in tandem with others, can cause serious psychological harm to the victim. It must be recognized firstly that a bully is doing something wrong...Bullying is inappropriate and unacceptable. However, if you do not confront it or report it, it might never stop. ARE YOU AWARE OF BULLYING GOING ON IN YOUR ORGANIZATION? IF YOU ARE AND YOU HAVE NOT DONE ANYTHING ABOUT IT YET, NOW IS THE TIME TO PUT AN END TO IT BEFORE BULLYING DOES SERIOUS HARM TO YOUR CREDIBILITY AND YOUR TEAM. As a matter of age and evolution, every 10 to 20 years or so almost every business is forced to find new leaders to carry it into the future. As older leaders retire, replacements must be brought in to carry on their work. In some cases leaders quit, die, are promoted or transfer elsewhere. In all of those cases, they must be replaced if the business is to survive. Despite that inescapable truth, many businesses and organizations I work with are not properly prepared to replace their outgoing talent. Often there seems to be a “head-in-the-sand” mind-set wherein, decision makers choose to leave well enough alone and hope that their current personnel structure will last forever or that a new, exciting leader will fall out of the wood-work on cue, when necessary. Unfortunately, wood-work is often populated by termites, ants and beetles...none of which offer any great organizational leadership potential. In order to build a valuable and effective succession plan, decision makers must firstly, “always” be on the lookout for future leaders. They must be thinking at all times about perpetuation of their organization and what will happen when their current good or bad leaders move on. Succession should not be an emergency decision. It should be like a cougar on the hunt...ready, alert and waiting to pounce when the opportunity arises. Always try to promote from within. This is a commonly accepted business principle that is often avoided or overlooked. It takes much less time to bring an existing employee up to speed than it does an outsider. Current staff members know your business, your culture and your brand...and you already know them. Always promote or hire leaders who already possess your corporate values rather than trying to teach them your values after the employment contract is signed. Perform some professional skills and talent testing and utilize solid investigative interviewing techniques before you give them an office and an email address. Never promote people out of obligation. Organizations of all types tend to offer promotions to people who have hung-in-there the longest regardless of skills, talents or value. Tenure is NOT necessarily an indication of leadership ability and it should not be rewarded with a leadership position unless the person is actually a good leader. Always be on the lookout for “keeners”. Keeners are people who love their jobs and quite naturally encourage others to excel in theirs. These people often offer advice and counsel to other even when not in a formal leadership role. There are many of them in many organizations and they often go unnoticed by the decision makers. They may or may not thrive in an elevated leadership position but if they are ignored or passed-over they will never realize their full capacity for leadership. Be a talent-scout within your own organization. Once you have identified a potential leader, talk to them. Let them know that you appreciate their work and that you see a bright future for them. Human beings of all personality types and skill levels love to be encouraged and they appreciate knowing that they have a future. Put your future leaders on a “career path”. Most people of the current younger generation want to know where they are going and how long it will take them to get there. Work with them to create milestones and expectations so that when the time comes, they can easily slip into a new leadership position. Really-good future leaders want advancement and if you don’t provide it, someone else will. Provide leadership training to future leaders. 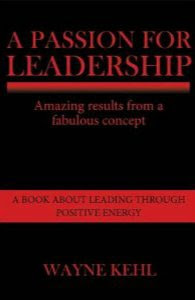 Although some people possess almost “natural” leadership skills there is a lot to be learned about leading that cannot be gleaned through osmosis or exposure to ones immediate supervisor or manager. Formalize your leadership training and offer it to anyone who wants an opportunity to learn. If you hire a new leader from outside of your own firm, never hire based on your “gut instincts”. Your guts might help you in a fight–or-flight situation or when you are selecting an item on a restaurant menu, but they don’t work well for talent selection. Always utilize good talent assessment tools and have a panel of your peers and/or employees participate in the interview process so that your decision is not tainted by your guts. Job applicants almost always adapt their behaviour to the interview process and what you saw is seldom what you get a month or two after they have settled into a new job. Never hire in your own image or enforce your own leadership style. Most of us tend to feel comfortable with people who are most like us. However, it takes many types of personalities to make a great team and one leadership style is not the “best” or the “only” way to lead. Take your personal feelings out of how a new leader should lead and allow them to deal with people in the way that works best for them. Give them an array of leadership tools and then stand back and watch them soar. What have you done to ensure a successful succession process in your organization? If you have not started to build a leadership plan for the future, now is the time. In an increasingly competitive world you must have the best-of-the-best leaders if you want to have a commanding presence in the new millennium. During my fourty year career as a senior manager in the general insurance industry in Canada, I was often confronted and confounded by the word, TEAMWORK. Almost every leader I met talked about wanting better teamwork or bragging about how great the teamwork in their area of influence already was. Regardless of the confidence, cynicism or optimism of the leaders, in most cases when I spoke with rank-and-file employees, I found that overall, corporate teamwork was either sadly lacking or non-existent. In all cases, it was evident that no one at any level really knew what an ideal “Teamwork Environment” looked like. · Workers often feel that teamwork is the responsibility of the leader...in other words they believe that a good leader creates and manages good teamwork amongst his or her employees. · Leaders, on the other hand tend to feel that teamwork is the purview of the team members. In other words they believe that good employees should be good team players and if teamwork is lacking, it is a result of one or more of the team members not exhibiting the qualities of a team player. · So how do we establish true symbiosis between leaders and employees? TEAMWORK requires structure and hierarchy... Some experts would prefer to replace hierarchical structure with equality and a flat management style where everyone is a partner and everyone is entitled to share in the decision making process at all times, in all ways. In that structure all of the team members should assumedly be held accountable for challenges and failures, but unfortunately not all of them will be willing to take on that responsibility when the time comes. The result is generally a break in the chain and potential bedlam because only a few will feel the ideological desire to make final decisions and accept ultimate responsibility when things don’t work out. My intention is not to tamper with the popular concept of servant leadership. In fact, I believe that all leaders should be servants...to a point. Strong leaders must lead at all times, they must be accountable for everything in their sphere of answerability and they must accept responsibility for the actions of their employees. They must put themselves on the line and work selflessly for a mutually beneficial end. Servant leadership is only possible when leaders are selfless and it should not be diluted by a structure where hierarchy is replaced by a confused and potentially chaotic lack of hierarchical leadership. · Successful military campaigns are lead by great leaders just as “Super bowls” and “Stanley Cups” are won by teams with great coaches. Running a successful organization is really no different than winning a war or a game. In all cases, the players must be able to look to a leader for direction and they must have almost blind-trust and extreme confidence in their leader to make good decisions for them...But that is not the only factor that matters. · Good TEAMWORK is driven from the bottom up by great leaders. A good business leader will not assume that his or her employees understand TEAMWORK. A good leader will talk to her or his employees about TEAMWORK, what it entails, and what is expected on an ongoing and consistent basis. A good leader will spend time learning the jobs of his or her employees and clarifying what is expected of each member of the team in each position. · When an organization lacks TEAMWORK, it lacks leadership and it is doomed to turmoil and potential failure. Great organizations monitor their TQ (teamwork quotient) regularly and take steps to assure that everyone is onboard at all times. They know that without TEAMWORK they cannot advance as quickly as they would like and that every small step forward feels like a giant, muscle-pulling leap! In order to reduce employee stress and increase profitability, great leaders make certain at all times that every employee is pulling his or her weight so that the business train can keep chugging relentlessly up the mountain of twenty-first century business challenges. put your Teamwork Train back on the track! As long as you are in the workforce, work will keep coming your way. If you are adding any value at all to your business, every time you walk through the door of your workplace a new challenge will be waiting. The first step to time management is to accept that you will never get everything done and embrace it as symptom of success rather than a symbol of failure or poor performance. In order to better manage your time for maximum efficiency, you must understand and admit to yourself that the problem is not a shortage of time...it is ineffective use of time! When you are often pulled away from the task at hand you will find yourself in a constant state of crisis management which can lead to misdirected action and burnout. If everything around you seems to be going wrong, you need to evaluate why you are being distracted from your real work. It could be that you are being affected by old prejudices, bad influences from co-workers or a lack of clear direction. Anything that distracts you from your primary tasks must be eliminated if you want to enjoy good time management. When you have low energy levels and low focus, you will procrastinate and show up in body alone. You will hesitate to take initiative to get things done...often until it is too late. It is possible that your procrastination is a result of having little or no belief in your own abilities, perhaps you have a fear of failure, or maybe you have had a negative experience in the past which is preventing you from taking action. No matter what is causing your procrastination, you must push past it because it is one of the greatest killers of good time management there is. People who do not enjoy their jobs tend to fall into negative moods which prevent them from enjoying their work. When that happens they will do what my Mom would call “busy-work.” In other words they will do all sorts of unnecessary, ineffective things in order to avoid the important, pressing issues before them. Disengagement is one of greatest killers of time management. If you are not engaged in your work, you must determine why. Some causes of disengagement include, (but are not limited to) feeling unappreciated, believing you are overworked or not being paid enough to make ends meet. If any of those things apply to you, there is a good chance that your energy levels are low. If that is the case, you need to make some changes in your workplace situation in order to recharge your batteries and bring your energy levels back to where they should be. That might include speaking with your boss about your concerns and working out a plan for improvement. ð Are not prone to radical emotional reactions. ð You are less likely to become distracted by unimportant things. ð You place full attention on truly meaningful things. ð You are better able to manage your time. Time management is not about the clock or too much work...Time management is all about you! Like so many folks of my vintage, on the day I reached my sixtieth birthday, I began an involuntary self-assessment and reappraisal of my life. This was not a dramatic or religious rebirth; it was not a form of salvation or psychological liberation, and I did not “find myself” or “recreate myself”. Instead, this was a gentle wonderment about what I had done to get this far and what value I might have brought to the world. As I pondered my life and my place in the world, I came to the conclusion that although I had been reasonably successful in a business sense, I had never been fabulously wealthy or incredibly famous...and I think I am fine with that because I am not sure how well I would have handled those things... At this point I will probably never find out. My mind then wandered to some of the people I met along the way. For the most part, those who achieved fabulous wealth and fame missed the mark in one very important area...they often lacked a genuine spirit of fun or a feeling of joy for just the simple pleasure of being alive. Rich folks who are “self-made” or who move from poor to rich through hard work, intelligence and personal effort seem to give up so much of their souls that they seldom sit back and spend time enjoying the fruits of their labours. Despite the fact that they exceed the norms in terms of effort and accomplishment, they often miss out on the very things they work so hard to achieve. They start out wanting more money so they can have security; a grand lifestyle and possessions galore but once they get those things they feel no joy from them. Instead of taking time out to smell the roses and float in a sea of secure tranquility, they work even harder in order to grow their portfolio of possessions. Even when they are happy, it is seldom because of their wealth or the things they have acquired...and yet they continue to acquire “stuff”. Unlike the rich folks I know, the poor, struggling or mediocre folks I have met generally seem to display a greater sense of good humour or pure joy on a much more regular basis. They appreciate small wins and simple acts of kindness. Any new experiences are wonderful and fun for them because they cannot afford to do whatever they want, whenever they want like their wealthy counterparts. They find humour in their own struggles and they laugh when they inadvertently engineer small failures in their lives. They don’t take themselves too seriously and they admire people who are simply kind or nice. They often joke about their own lack of money and how they have trouble making ends meet. They are often selfless and think nothing of putting themselves out to help another person. In short, non-wealthy people find happiness in the simplest of things. They enjoy life and they appreciate every good thing that comes their way. My evaluation of this phenomenon is that rich people set the bar so high for themselves that it is impossible to reach for even the most aggressive of them. When they reach one goal, they set another, higher one. When they seem to have reached their maximum potential, they don’t go home and enjoy their lives, they seek more and greater opportunities to create wealth. No matter how much material success they attain, they know that someone somewhere has something they do not have and that creates a need in them to work harder to show the world that no one can best them. Competitive to a fault, they are driven by their own minds to continuously improve their positions in life. Unlike the very rich, non-wealthy, not-famous people realize that despite any potential they might have, they will probably never reach the heights that the rich and famous wallow in. They accept that they have self-limiting characteristics that hold them back. They understand that despite all of the books, blogs, coaches and consultants that bombard us with well-intended, success-creating-propaganda on a daily basis, there is only room at the top for a select few. Most people do not practice, the “Seven Habits of Highly Effective People” nor have they read that very popular book by Steven Covey. Most think that Tony Robbins is a great orator and brilliant thinker, but they really do not want to expend the effort or change their lives to the extent that he suggests in “Awaken the Giant Within”. For them, those concepts are for the not-so-regular people who float and fly about, making business deals and signing contracts on yachts or private jets. Those things are for “them”; “the others”; the “chosen few”. After all, if everyone on earth were rich, where would all of the money come from to overflow their bank accounts? Clearly we need a balance of rich, poor and middle-class to make our economy function for everyone. Now that I am older and have very few years left to work, I understand that we all cannot be rich, but we all CAN be successful. To those rich folks who are compelled by their minds to work tirelessly to create wealth, I say, “Good on you!” You make a difference! To all of the non-wealthy people I say, “Great job!” You bring normalcy to the world and make all of us feel good about ourselves. You matter! I look forward to hearing from you. Please send me any comments, encouragement, or additional information that might improve my blog. Just click on the comments button beneath each article and start writing...All the Best! 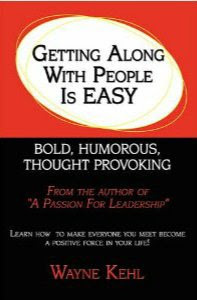 Gettting Along With People Is Easy! 13. http://youtu.be/hYeuH39U5bw Top 10 ways to be a bad leader! 14. http://youtu.be/yKJHDhNcIco Can a Woman be a great leader of Men??? "You Never Miss The Water Until The Well Runs Dry"
I Love My Levi's And I Will Not Change! Online File Sharing. Simple theme. Powered by Blogger.